National Adoption Month's goal is to increase national awareness that every child deserves a loving and caring family. Together, every one of us makes this possible. 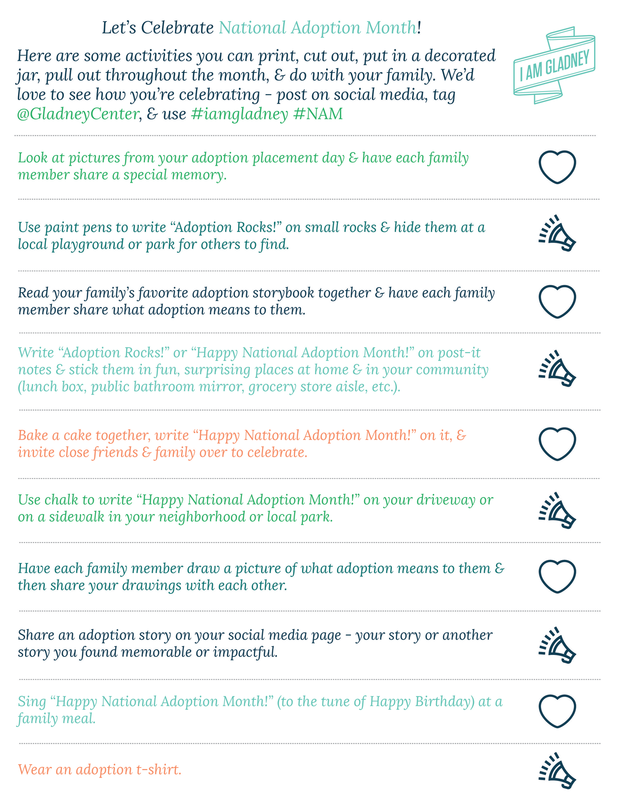 Share a photo, memory, or story showing what adoption means to you. 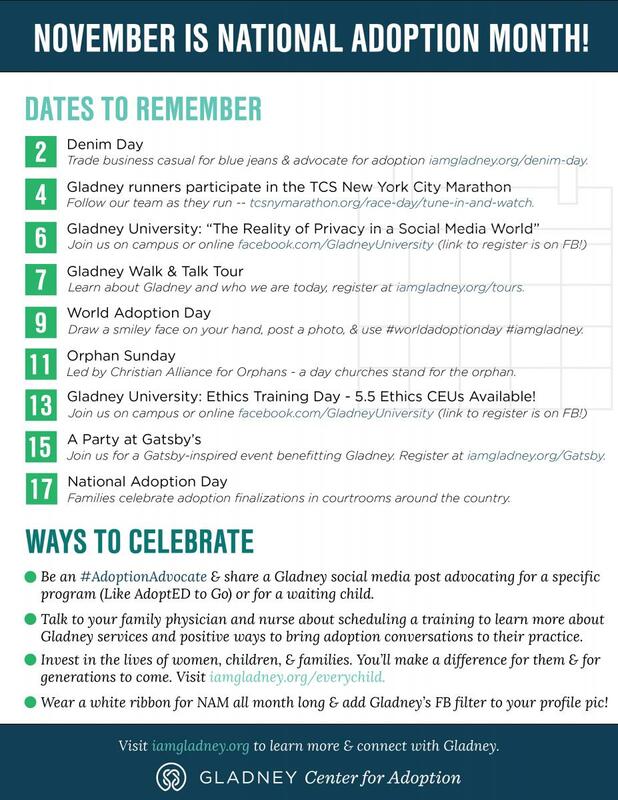 Read these adoption stories for inspiration and then join us in sharing the message of adoption at these Dates to Remember.